The Pinney Group typically includes approximately fifteen members (seven to ten graduate students, five to ten undergraduate students, one to three postdoctoral research associates, and one part-time research administrative associate). 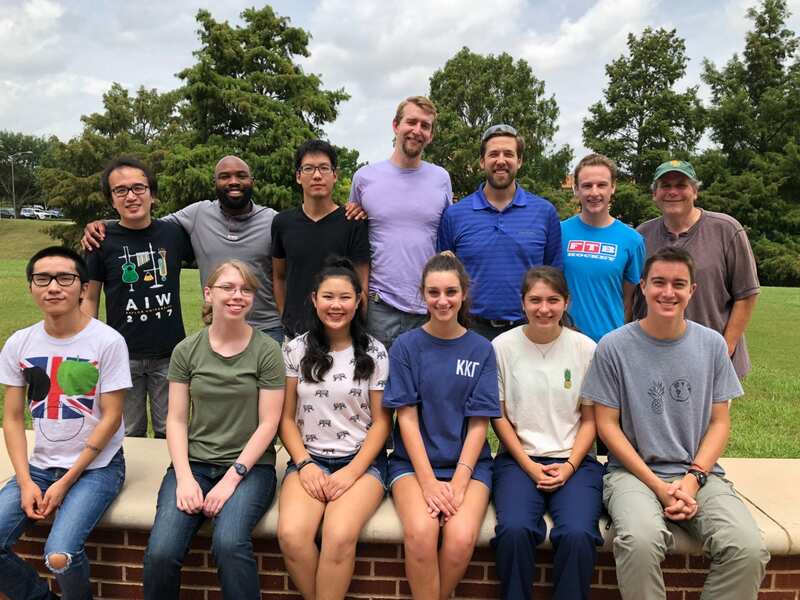 In the summers, the group typically also includes one to two high school students through the High School Summer Science Research Program (HSSSRP) at Baylor University. Research focuses on understanding the salient features of small molecule molecular recognition of selected bioreceptors including proteins and enzymes. Specific applications are in the discovery and development of vascular disrupting agents for the treatment of solid tumors and ophthalmologic disorders, as well as new compounds to treat both Chagas’ Disease and brain disorders, such as clinical depression and obsessive compulsive disorder. The Pinney Group has expertise in synthetic and medicinal chemistry with additional interests in biochemistry, pharmacology, and molecular biology. Hello World, from the Pinney Lab!